A real food, nutrient dense, protein bomb that serves as the perfectly-nutty snack. The in-between and on-the-go energy stabiliser. A healthful snack helps deter cravings & maintain overall well being. Coconut for rolling balls in, approx. 50g. Grind almonds into a meal consistency, until fine. In a mixing bowl, combine all ingredients and mix with your hands or a wooden spoon until well combined. Your mix should form nice balls to roll into coconut or other desirable coating. If by chance the mix is too wet/sticky to form balls add a little more almond meal. If a tad too dry add a little more of a moist ingredient, or simply moisten your hands with filtered water. As with the activated goodMix blends, I advise refrigerating balls for no more than a few days. Preferably, freeze bliss bombs to keep for a time, allowing time to defrost in the fridge before serving. 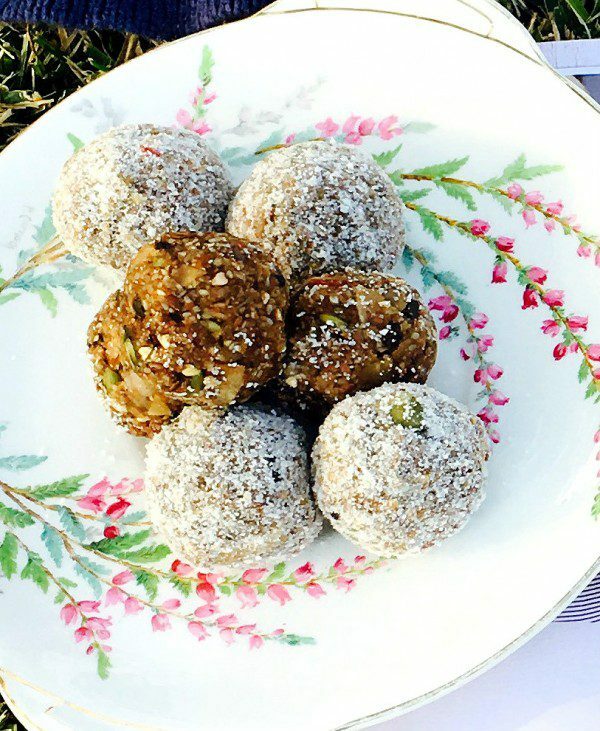 Thanks to Kerry Eulenstein for this awesome Natural Nutty Bliss Bombs recipe! !